Sustainable fashion has become more and more popular over the past few years. But it can be seen going back all the way to the 60s when the hippie movement began. It was then that concepts of recycling began, people started turning to organic and natural methods for food, shopping at flea markets and using DIY practices for clothing. Fast forward to the late 80s and early 90s, sustainable fashion was starting to be seen on the runway. 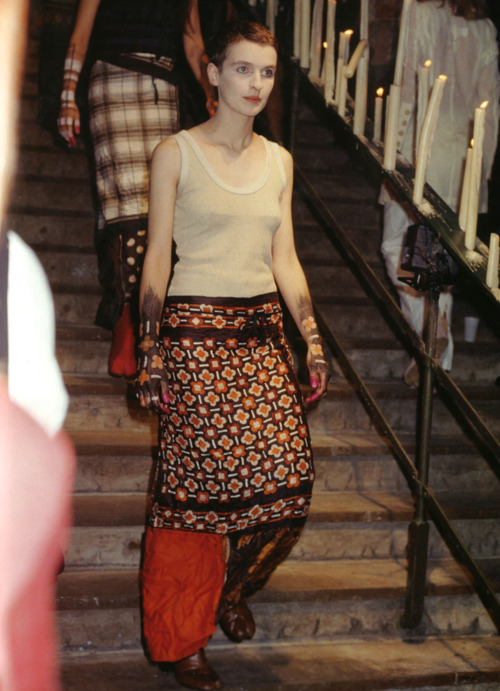 Martin Margiela’s first collection in 1988 featured a leather butcher’s apron repurposed into an evening gown. He turned second-hand clothing and flawed fabrics into a runway collection. This was a very unsubtle way of rebelling against widespread consumerism. Today, sustainable fashion has become more than just a trend to a way of living for most. Bloggers like Lauren Singer and Stevie Van Horn are administering a zero-waste lifestyle, and fashion retailers have started to improve their eco-footprint by switching to sustainable fabrics and enforcing more ethical production practices. There is still much more to be done, but the way the fashion industry is looking now, versus what it looked like 30 years ago, makes the future look very promising.